The National Association of Counties (NaCo), an organization devoted to civic engagement and policy development among the more than 3,000 county governments in the United States, just recently approved their proposed resolution to support the use of woody biomass as an energy source. This resolution was officially voted into action at the organization’s most recent Annual Conference & Exposition held in Long Beach, California on July 22. Authored by Tony Hyde, county commissioner for Columbia County, Oregon, the resolution supports and encourages the establishment of governmental policies that can foster the development of woody biomass as a renewable energy source. Woody biomass refers to a renewable resource comprised of low-grade wood fiber, trimmings, sawdust, and other “scrap” materials that are the by-products of the manufacture of wood products, the milling of lumber or the harvesting of timber. 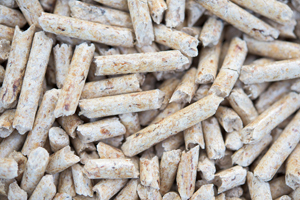 These various components are compressed and then heated at high temperatures in order to form wood pellets that are extremely dense, making them a highly efficient energy source for power generation, as well as for commercial and residential heating. The proposal approved by NaCo pointed out that these materials would otherwise go to waste if they were not used in the creation of biomass, making the best use of an entirely renewable natural resource. The authors of the NaCo proposal also highlighted some additional benefits of using woody biomass that are worth noting. For one, harvesting trees for biomass promotes the proliferation of higher value timber, as weaker or deformed trees are purged from groves. In addition, biomass harvesting reduces our overall carbon footprint, because as younger trees are allowed to flourish, they will typically absorb carbon at a faster rate than that of more mature trees. In addition, the production of woody biomass produces a carbon-neutral effect, as numerous peer-reviewed scientific studies have shown that the amount of carbon absorbed throughout the duration of a tree’s lifespan typically offsets the amount of carbon released into the atmosphere when the pellets are burned. In fact, one recent study published by the U.S. Forest Service suggests that the current and proposed production levels of woody biomass might further contribute to this important environmental balancing act by actually boosting the expansion of forest land area, thus increasing overall levels of CO2 absorption. Another important benefit cited by the NaCo proposal is the effect that increased woody biomass usage would have on local economies in terms of job creation. Not only would this initiative generate opportunities for additional forestry jobs, but it would also contribute to the creation of positions related to the production and transport of woody biomass products. As more facilities are constructed to meet the growing demand for industrial wood pellets, local economies benefit from the increase in property tax revenues as well. The resolution adopted by NaCo represents a much larger shift in sentiment regarding the importance of securing renewable resources to meet the energy demands of the 21st century. As government policies continue to be drafted and implemented in order to reduce carbon emissions and further diversify our nation’s energy portfolio, the development of woody biomass as a viable alternative energy source looks to become an increasingly safe bet for the future.